For those who did not read the original post (titles the same- I think), about a month ago I blogged about a tip I had read- and planned to try out. 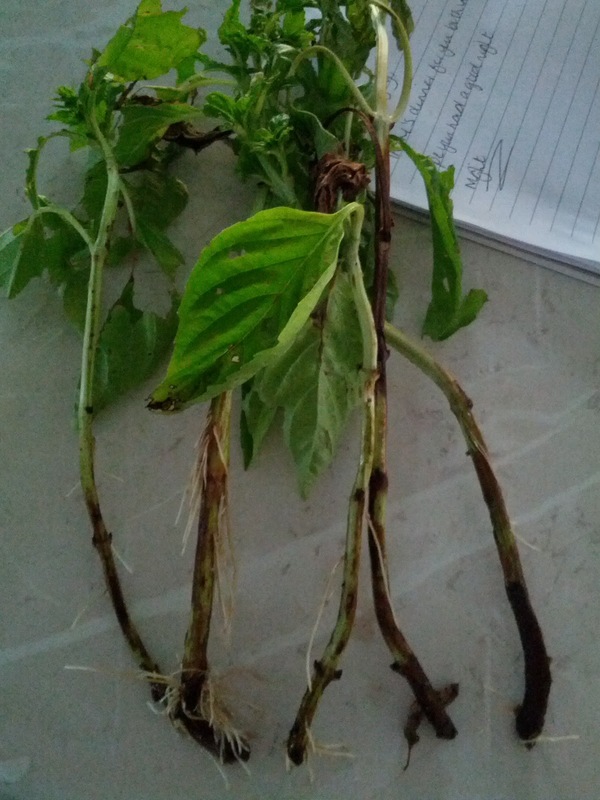 The tip was, that you can propogate basil from cuttings. So if this were true, why wouldn't I? Especially if I was harvesting the leaves anyway? So I cut the stems of about half a dosen large basil stems from the invading plant in the veg patch; intension being (if this works) to gradually transfer it to the herb garden. 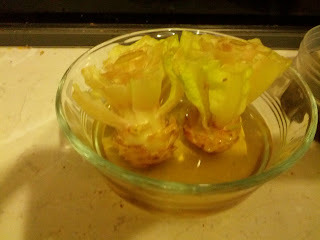 So cut them using a scissors, then once inside picked off the larger, lower leaves for cooking. 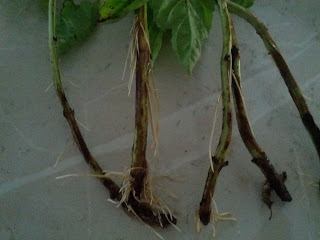 Exposing at least 2 inches of the stem. The remaining stalks; including flowers and buds (and a few smaller leaves) I placed in a jar, with water. Originally I read that this was to be kept on a sunny window sill. I actually do not have many windows with sills to place them on- least not in the sun. Am guessing the original tipster did not live in tropical queensland, where verything is designed for shade and cool. So I place them on my bathroom window sill. Eventually I decided this was not 'sunny' enough (though it was probably the best sill I had). So I placed the jar in the veg garden. One month on, and that is all the attention it has had, other than topping up the water. And we have roots! Not sure how long they need to be to plant out, so will add some gradually- see what works best. I have also started another bunch in another jar, as I felt this was a great way to grow from what we eat. 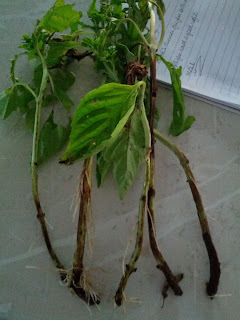 Though I think I would pick off more of the larger leaves, preferring to select stems with a mix of largers leaves with buds and/or small leaves. I also used the same principle with a few lettuce stalks; that was originally purchased from the supermarket. I also believe you can do this with other vegetables too- such as celery... So will keep you posted with my food from scraps.